How much is my SSAF? 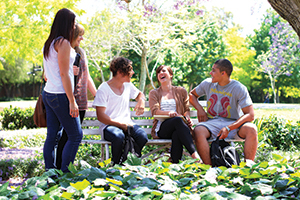 In October 2011, the Australian Parliament passed legislation to allow Universities and other higher education providers, to charge a compulsory Student Services and Amenities Fee (SSAF) from 1 January 2012 (see the Higher Education Legislation Amendment (Student Services and Amenities) Act 2011). The Student Services and Amenities Fee (SSAF) provides funding for student services and amenities of a non-academic nature (sporting, recreational, employment, financial, food, etc). It is calculated based on student enrolment mode and study load. supporting an artistic activity by students. Avondale can either deliver the services and amenities themselves or contract a third party to deliver the services and amenities on their behalf. You will be invoiced up front (separately from your course fees) at the beginning of each semester for which you are enrolled. Once the SSAF invoice is generated you will be notified via email that your SSAF invoice is available in Student Connect. All other students must pay the SSAF up front by the payment due date. A SA-HELP loan allows students to borrow from the Commonwealth to cover some or all of their Student Services and Amenities Fee (SSAF). 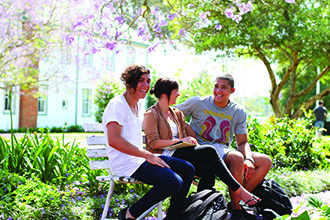 Students who receive a SA-HELP loan will have part or their entire SSAF paid to the College by the Commonwealth and a SA-HELP debt recorded for them with the Australian Taxation Office (ATO). To be eligible, students need to be enrolled and then they will be notified by email from Student Finance on how to apply for SA-HELP. In allocating the SSAF income, the College will undertake consultation with the democratically elected student representatives as required under the Student Services, Amenities, Representation and Advocacy Guidelines. This consultation has been and will continue to be, carried out by representatives of Avondale meeting regularly with the Avondale Student Association (ASA). This consultation process will ensure that enrolled students are able to participate in the decision making process regarding the specific uses of the SSAF income. Share your suggestions and comments about SSAF funded projects through the Avondale Student Association and for further information contact Director of Student Life Services, ssafofficer@avondale.edu.au. Avondale follows the Australian Government's guidelines on how higher educational providers can use SSAF funds.